Review: Leah is a hard worker, committed wife and loving mom to 3 young children. So what could possibly cause Leah to drive her SUV off a bridge with the intent to kill herself, her 3 children and her neighbor's twins? Claire is on the scene and helps rescue the kids but Leah drowns. Claire and Connor team up to figure out what happened. 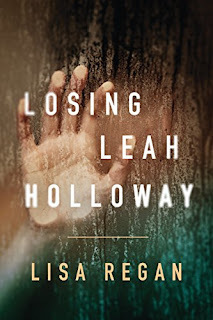 I'm once again impressed with Lisa Regan's storytelling abilities. Told in alternating timelines, we follow Connor and Claire in the present timeline trying to figure out what happened while we follow Leah before the crash. Knowing Leah tried to kill 5 children was horrifying and trying to figure out why kept me turning the pages.